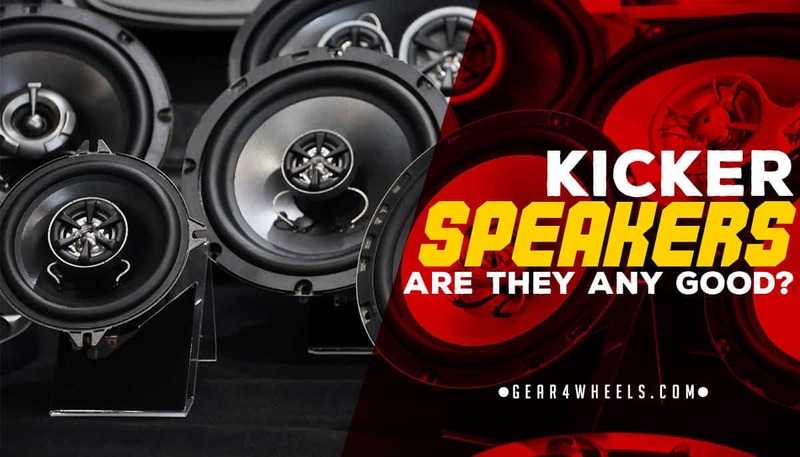 Kicker was introduced with a specific focus on car audio systems; therefore, it’s no wonder it’s one of the best brands currently featured on the market. In 1973, the brand was launched from Steve Irby’s garage. He launched the company with the amazing Original Kicker. This was the first full-frequency range speaker that was specifically meant for trucks and cars. This set the tone for Kicker’s impressive future as a trendsetter and innovative company. Today the brand is known for its wide range of products that offer vehicle owners quality options to upgrade their cars’ sound systems. Kicker enables sound systems to provide sound experiences that equal live concerts, thanks to powerful speakers that can handle high volumes and provide clear mid and high frequencies. They make sure it stays modern and relevant to today’s audiences. It incorporates modern technology and expands the range to different markets when necessary. Kicker still operates from Oklahoma in the US, but exports to over 50 countries worldwide. It sets a standard and makes sure to keep on meeting that standard via constant reinvention. Let’s have a look at some of their speaker series and I'll review a few of their most popular models too. Kicker’s QS series offers you the best of the company’s features and workmanship. These all work together to offer you exceptional sound, as if you’re listening to it live. With easy installation features, Kicker makes sure anyone can partake in this experience. 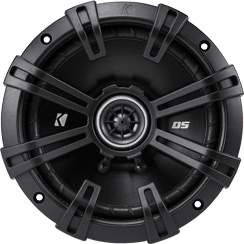 The KS range offers exceptional quality sound, whether it’s bass frequencies or high tones. Though this range is not as advanced as the QS series, you’ll still enjoy the upgrade from normal factory speakers. 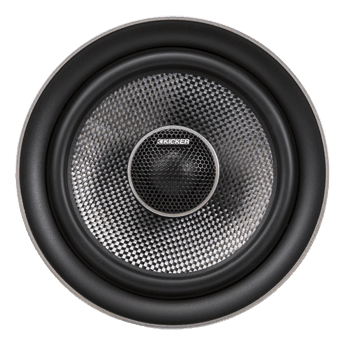 You can purchase either coaxial system or component speakers. The speakers are beautifully designed, which gives them aesthetic value. Both round and oval shaped speakers are featured, and they are available in many sizes, so you’re bound to find one that easily fits your car. One of the focus areas when designing the CS series, was bass frequencies. Thanks to this effort, you can enjoy bass sounds of exceptional quality with very little distortion. This is made possible through a strong magnet and Kicker’s patented EVC (Extended Voice Coil). This bass feature is paired with quality cones and padded surrounds. This makes the speakers deliver clear sound, while ensuring they’re durable as well. Kicker’s DS coaxial units are designed to offer vehicle owners an easy installation option. You can literally drop these speakers into the existing speaker box and have an instant upgrade. It may be a user-friendly option, but in no way did Kicker drop their level of quality. Their classic-though-modern look means any driver will love installing these speakers, as they look as stunning as they sound. This speaker looks as spectacular as the features it provides. If you purchase this unit, you get a strong, durable, powerful speaker. 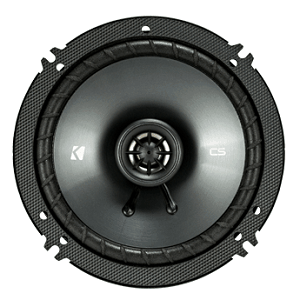 The 6.5" version of the CS line is one of the most popular speakers from Kicker. The speakers can handle up to 100 watts of power each, which is remarkable for speakers of this size. You can use them connected with your car’s original sound or hook them up to an amplifier. They will handle the power and produce excellent sound. The mentioned woofer is safely ensconced in a polyester foam surround. This affords some protection against shock, but also helps to improve the sound production. If you love the low tones that woofers produce, take note that these aren’t designed to give you pounding beats. You’ll get some bass sounds, but if that should be the focus of your system you should invest in additional sub woofers. If you plan to install the system yourself, you’ll be happy to know they simply slot into existing speaker spaces. This is possible thanks to reduced depth baskets that take up very little space, so you don’t have to build customized boxes for the speakers. This Kicker model is a unique design, so before you purchase them, make sure they’ll fit into your car. If they don’t, you’ll have to build customized storage boxes. Though they’re made to afford easy upgrade options through features such as the reduced depth baskets, the oval shape may be a problem in some cars. The mounting depth is slightly more than many other speakers, so make sure it will work before you buy these. If you get these to fit your car, you’ll love the sound they produce, because the 40CS6934 units support an expansive range of tones. Though any basic speaker will struggle to produce bass notes as strong as subwoofers, these speakers afford quality low tones. It will suffice in most cases, unless you’re set on getting bass effects that you can feel as well as listen to. If you love what you’re hearing, you’ll appreciate the fact that these speakers are well protected and will last you a long time. This prevents damage from shock, wear and tear. In the woofer cone, you’ll find a polyester foam surround, and the baskets are made from strong materials. This is perhaps Kicker's best selling 6" by 9" speaker. It's a 3-way speaker which I don't always recommend if there's a 2-way option, but these are proper good speakers despite that. 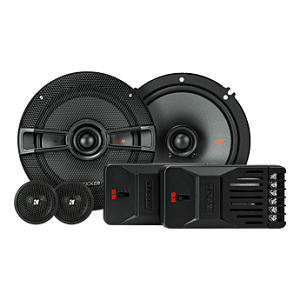 They made in into my list of the best 6x9 car speakers given the great value for money they offer. The foam surround helps to keep the speaker damage free, and it improves the quality of the sound the cone produces. What adds to their uniqueness is that they’re flexible; this means you can install them in most vehicles’ existing speaker compartments, even if the shapes don’t completely align. Flexing them slightly won’t break them or prevent them from producing excellent sound. You need to keep the speakers’ limitations in mind; though they can handle a lot of power, they will deteriorate over time. Low frequencies won’t sound as clear anymore and you’ll hear a lot of distortion. ReviewThey aren’t top of the range, and only handle average amounts of power; this means you risk blowing them if you connect the speakers to an amplifier.. Though the speakers’ frequency response is quite good and the KS range is meant to help you achieve powerful low tones, no speaker is an adequate replacement of a subwoofer. You may want to test these out before purchasing them. The durability of the speakers is improved by the santoprene surrounds of the woofer. You receive a 1-year warranty when purchasing these, which should lay your fears to rest about the speakers’ quality. Kicker is an exceptional brand that aims to bring practical, quick solutions to its customers.